This library is used by EnderIO, EnderZoo, and many others. * An unsupportted RF API is installed (1.7.0 from (guessing) jar:file:/C:/Users/Quitin/AppData/Roaming/.minecraft/mods/CoFHCore-1.10.2-4.1.11.16-universal.jar!/cofh/api/CoFHAPIProps.class). Ender IO needs at least 1.4.0 and will NOT work with older versions. and please don't post a crash report on the mod's page. If you have to use a gist or a pastebin. My suggestion is next time paste everything in pastebin.com with say a 6months expiry and then link it here. It makes for much nicer reading and doesn't spam our limited space here. Also, sign up to github; painful to navigate, easier to log reports. Welcome to the modpack creation woes :) As mentioned, there was a problem with the mod versions and searching for that mod usually will help you find a correct version after visiting the project page. There are a lot of cases where mods have not been updated tho and you may have to choose between going back to an earlier edition for ALL your mods or skipping the one you are looking at adding. Twitch desktop client is perfect for newbie developers like yourself; just create a custom profile at it should guide you. Oh and never take the crash report's word for what crashed it without reading what seem like its excuses listed below, and sometimes even then. When they do actually be honest with you (hello compact draws vs minecolonies pre 109) it is usually the combination that is bad rather then the first line. In this case it was Mystical Ag misbehaving because of the version and EnderCore saying 'wha?' The first of those two has a 1.12 version out now but its base mod Agricraft is still listed as alpha >:[ for 1.12; out none the less. Remember www.curseforge.com/minecraft/mc-mods is your friend.. for now. What was fixed in the latest version?! I don't want to use something that changed something bit especially if posted in alpha release. what happened? Maybe because its the beta? btw im using the latest version on 1.10.2. Don't use config from 1.12.2 with 1.10.2 . Can you re-create EnderIO and EnderCore version 1.10.2? 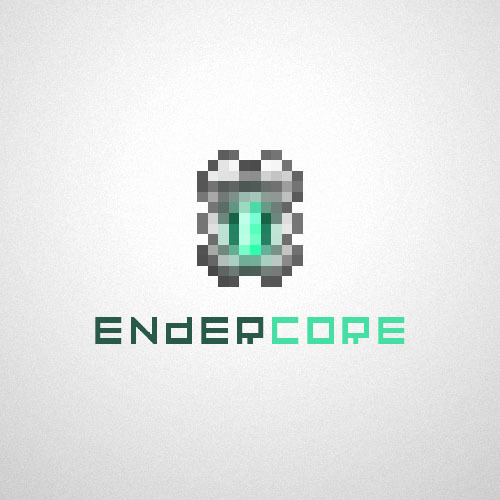 Otherwise, I can't play EnderIO,EnderCore version 1.10.2. Why cant I user Ender IO for a server? What's wrong with you, guys? Don't get me rude but seriously, I'm not a mod developer(I never even tried java) but I don't think that it is easy, just wait, or do better, 'kay? Thanks for understanding Me and Those Guys who is doing EnderCore, EnderIO, Chisel and other awesome mods. Hi is it possible if you can tell me when the 1.12 update is coming out please, thanks. Hi is there any news on the update? Will it be a 1.12 version soon? !!!!!!!!!!!!!!!!!!!!!!!!!!!!!!!!!!!!!!!!!!!!!!!!!!!!!!!!!!!!!!!!!!!!!!!!!!!!!!!!! !! !You are looking at the diagnostics information, not at the crash. Scroll up!!! !!!!!!!!!!!!!!!!!!!!!!!!!!!!!!!!!!!!!!!!!!!!!!!!!!!!!!!!!!!!!!!!!!!!!!!!!!!!!!!!! Launched Version: 1.10.2-forge1.10.2-12.18.3.2422 LWJGL: 2.9.4 OpenGL: Intel(R) HD Graphics GL version 4.0.0 - Build 10.18.10.4358, Intel GL Caps: Using GL 1.3 multitexturing.Using GL 1.3 texture combiners.Using framebuffer objects because OpenGL 3.0 is supported and separate blending is supported.Shaders are available because OpenGL 2.1 is supported.VBOs are available because OpenGL 1.5 is supported.